Beaker/Robertson; Boothe/McVicker/Mul; Elias; McVicker/Mullins; McVicker/Mullins/Wa; Mullins; Robertson. Very Good. In very good packaging. 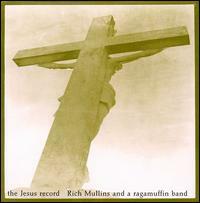 Rich Mullins-Jesus Record by Rich Mullins.